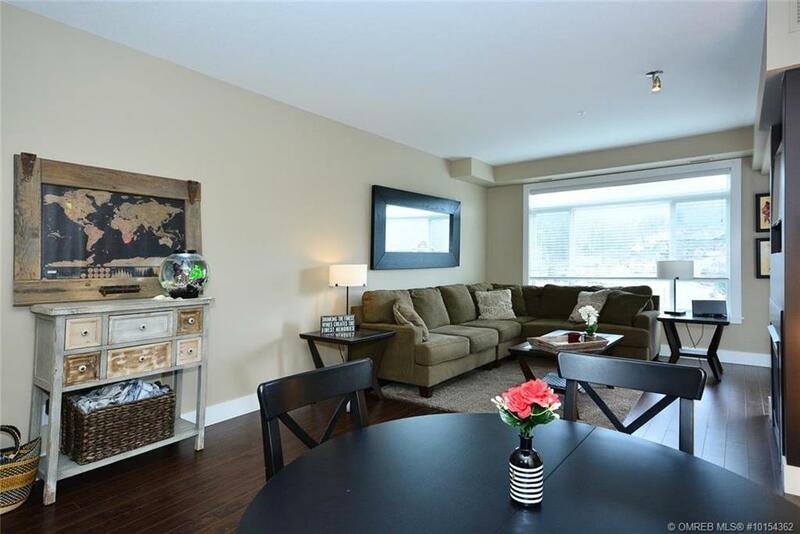 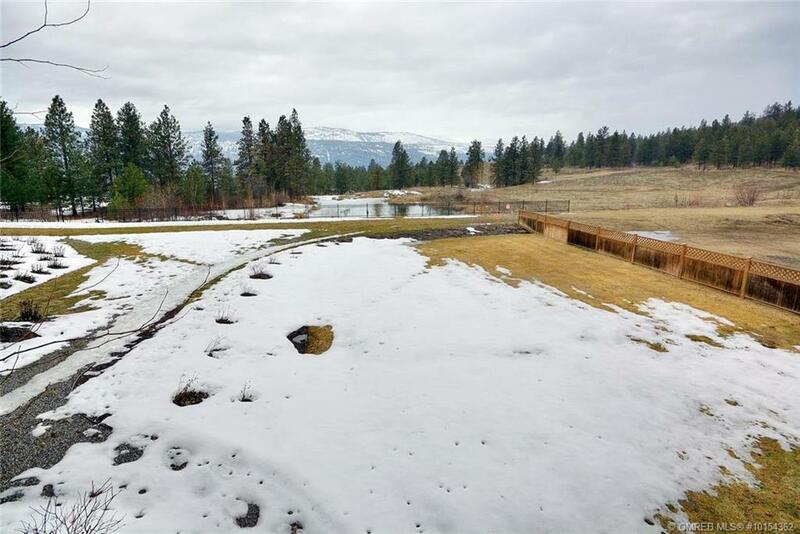 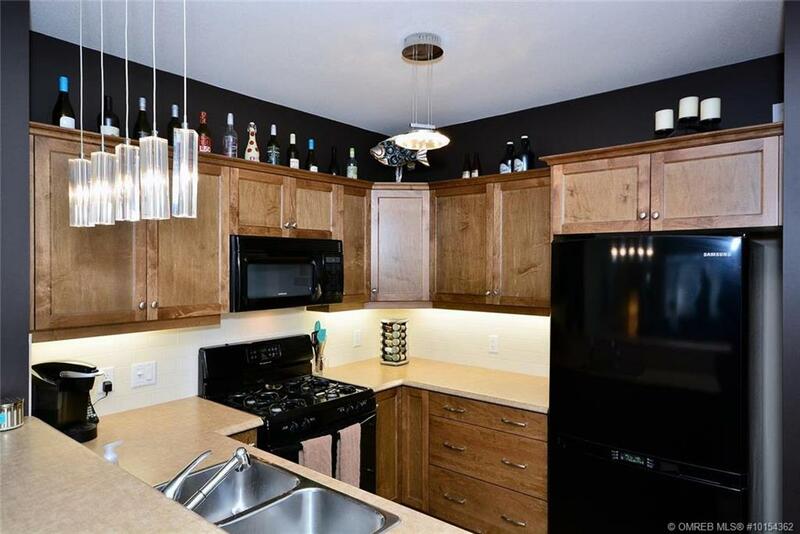 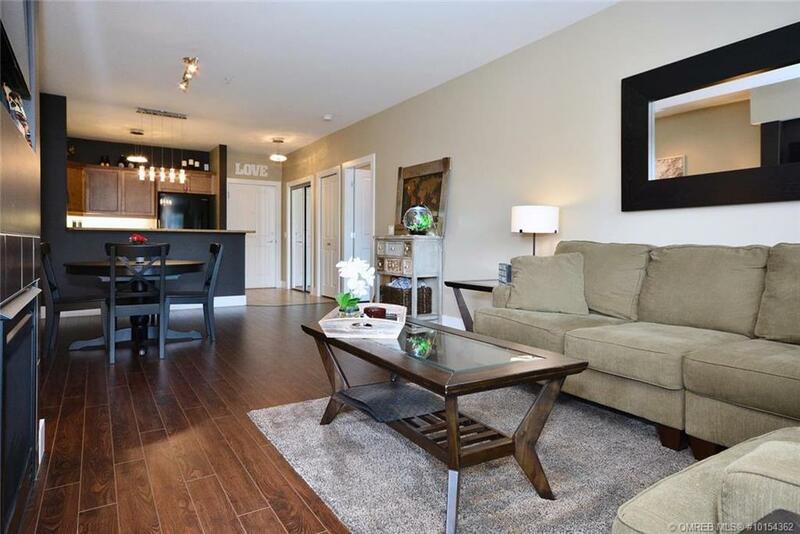 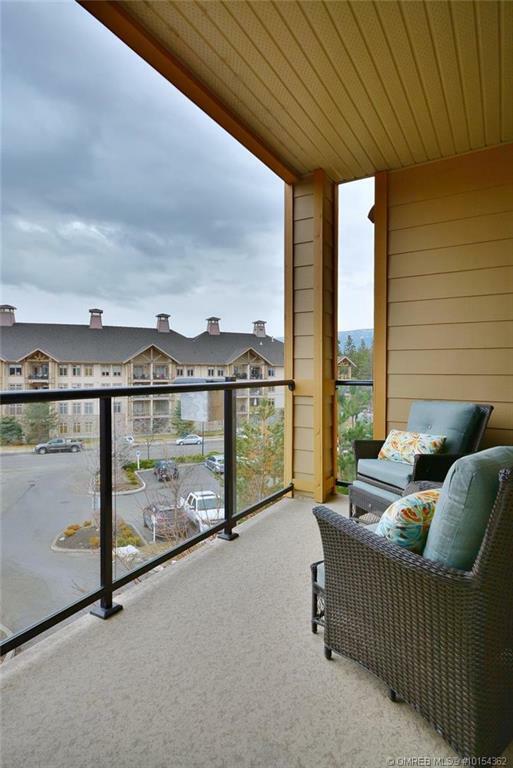 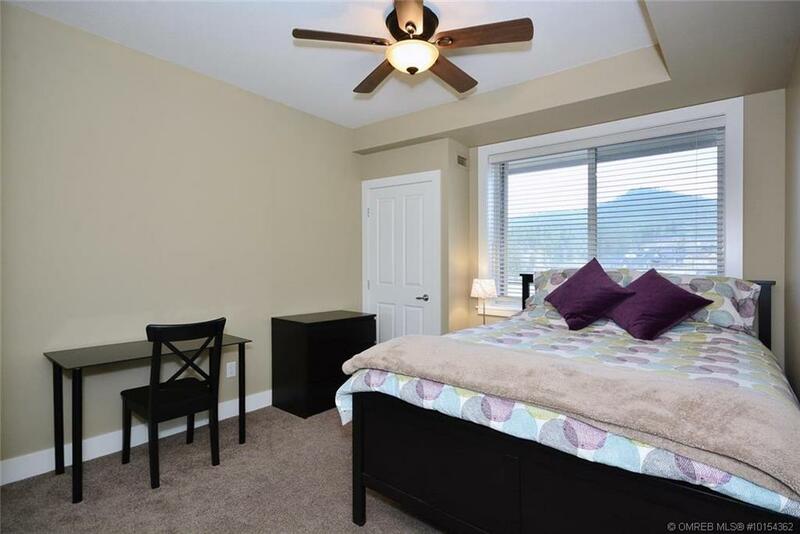 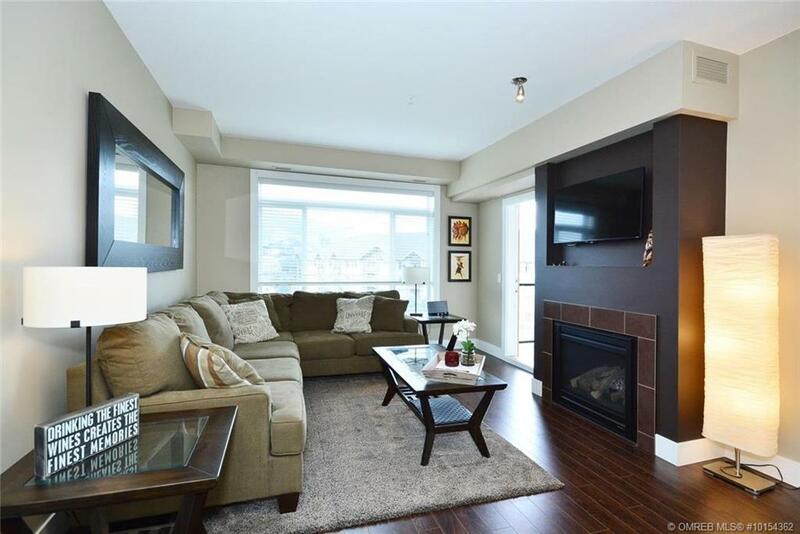 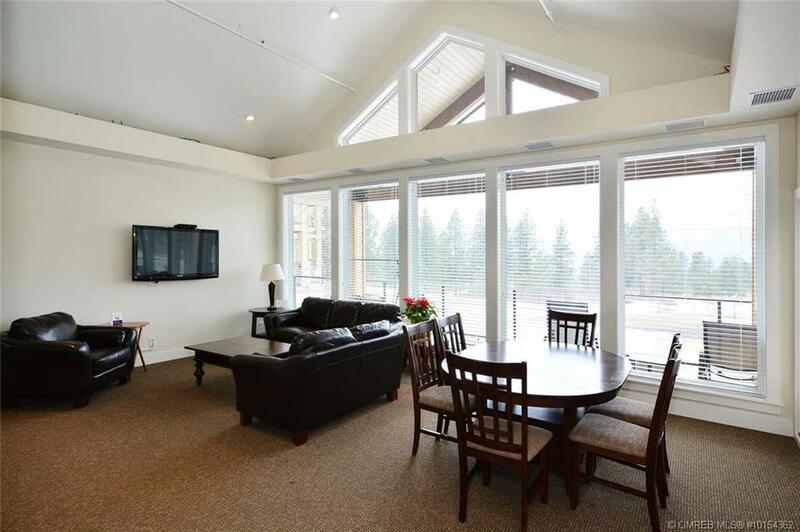 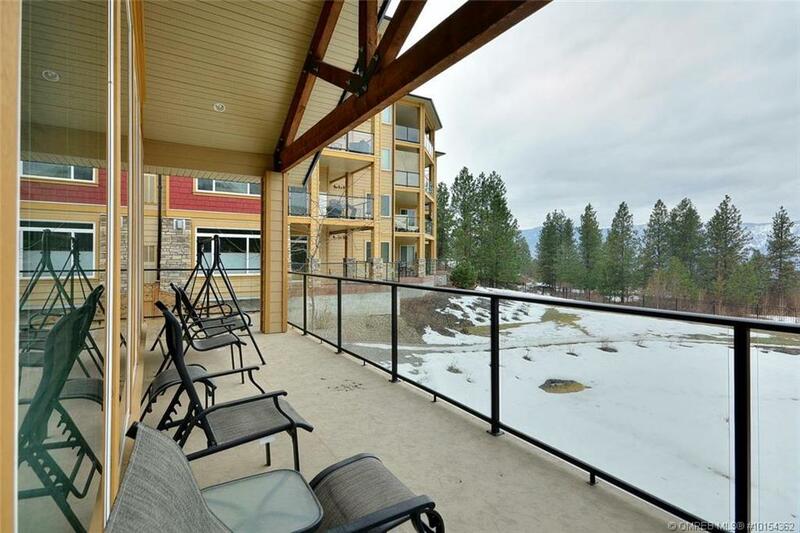 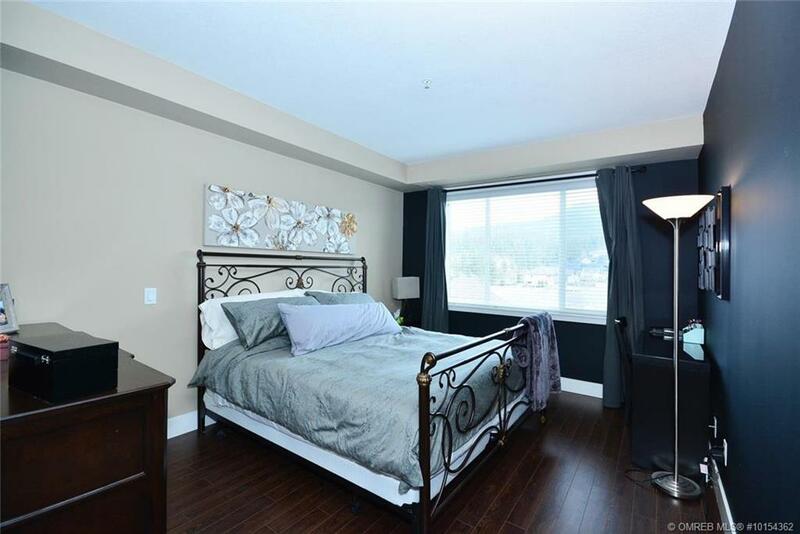 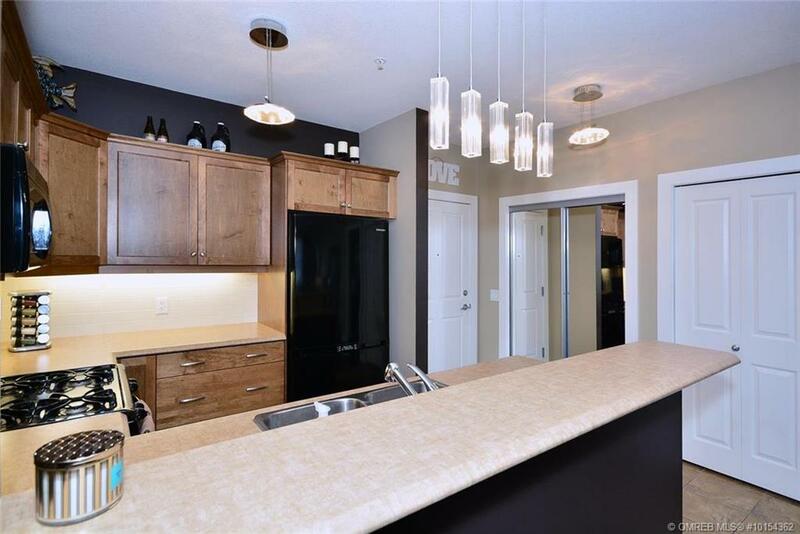 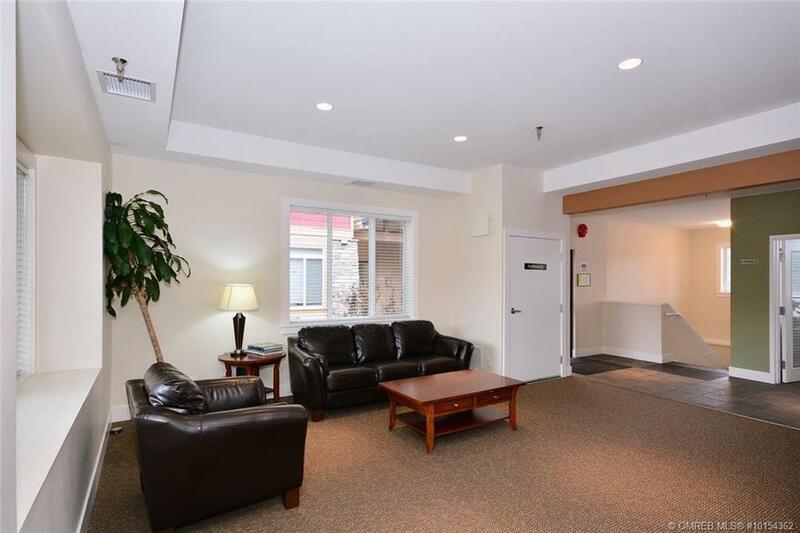 1158 SQF CONDO LOCATED IN THE LAKES – 2 BED – 2 BATH – OPEN CONCEPT – This condo is located on the third floor of the beautiful Winterra building. 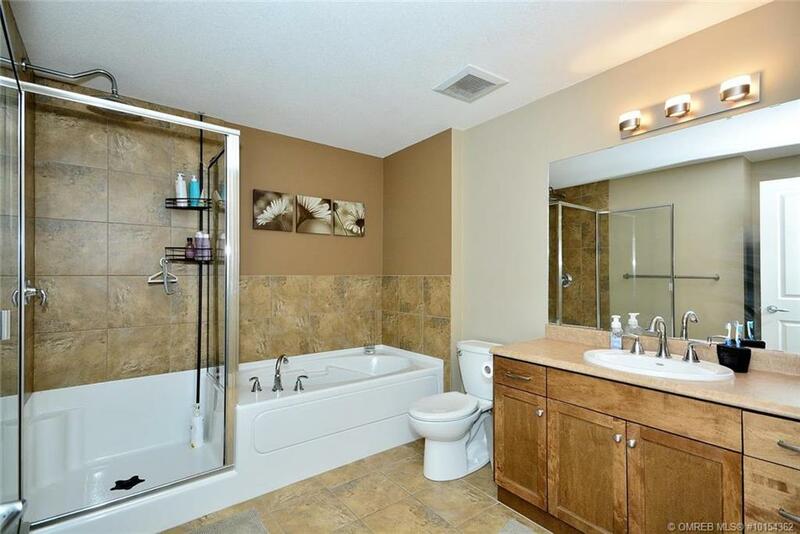 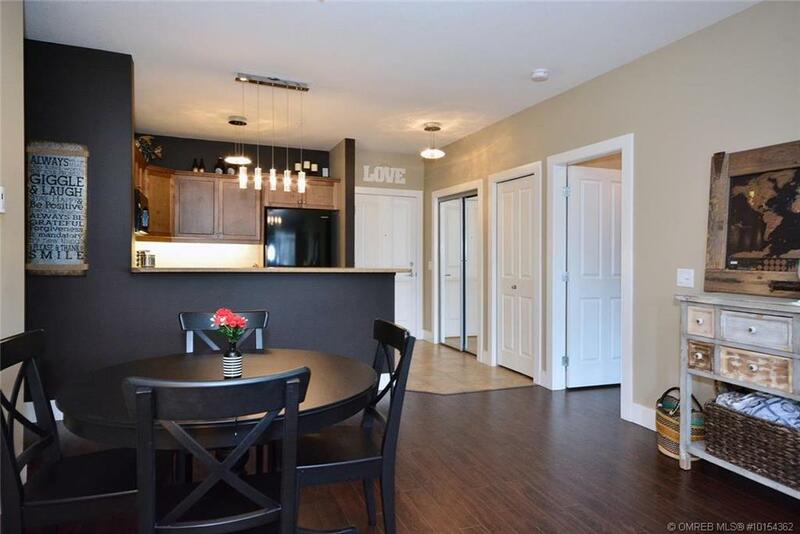 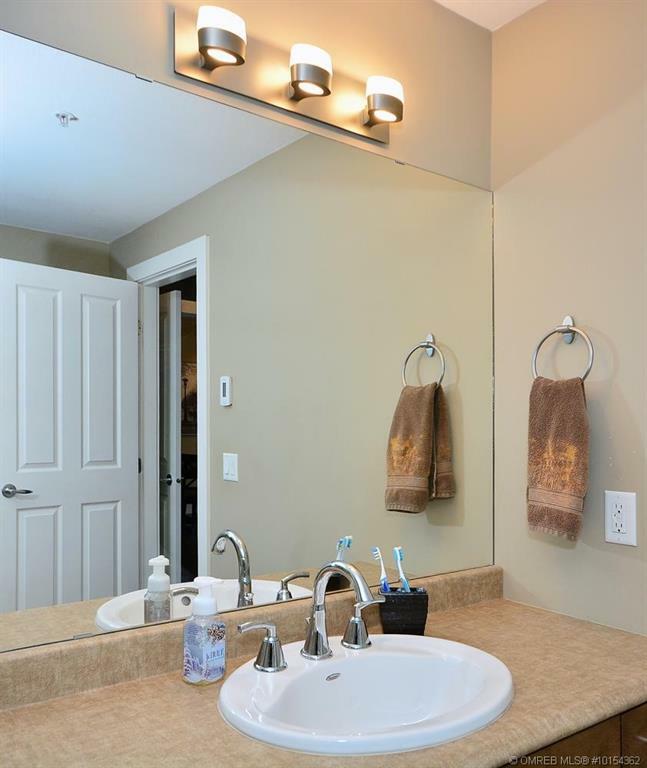 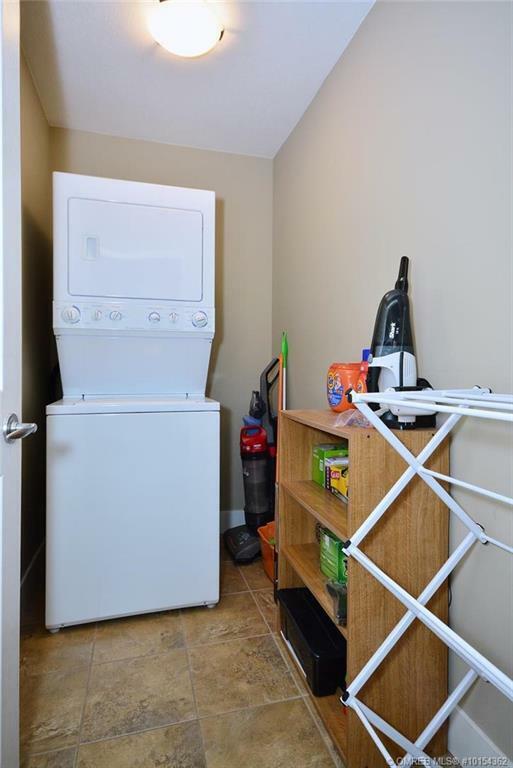 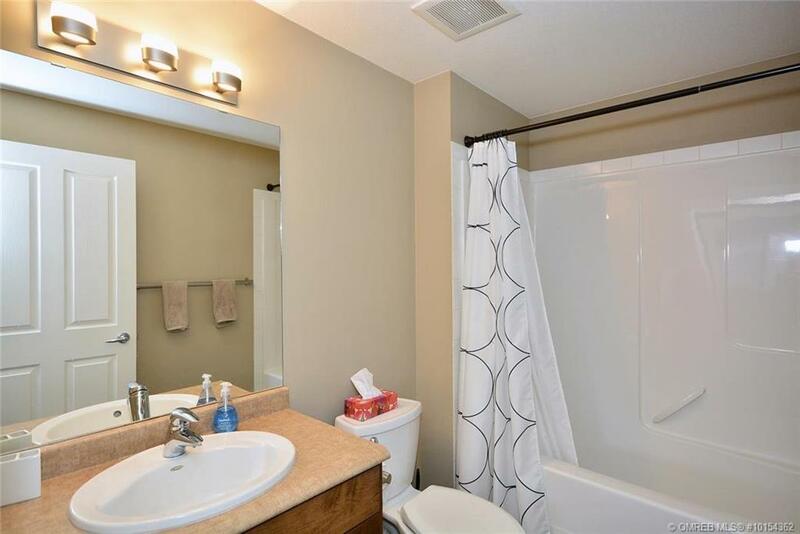 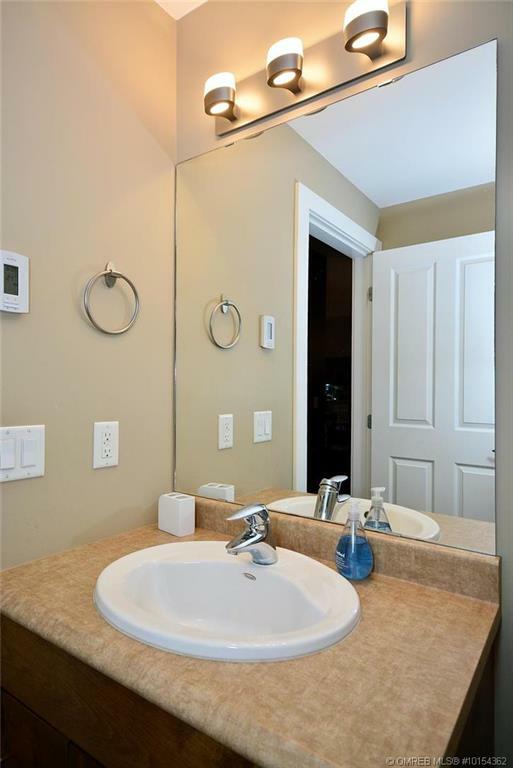 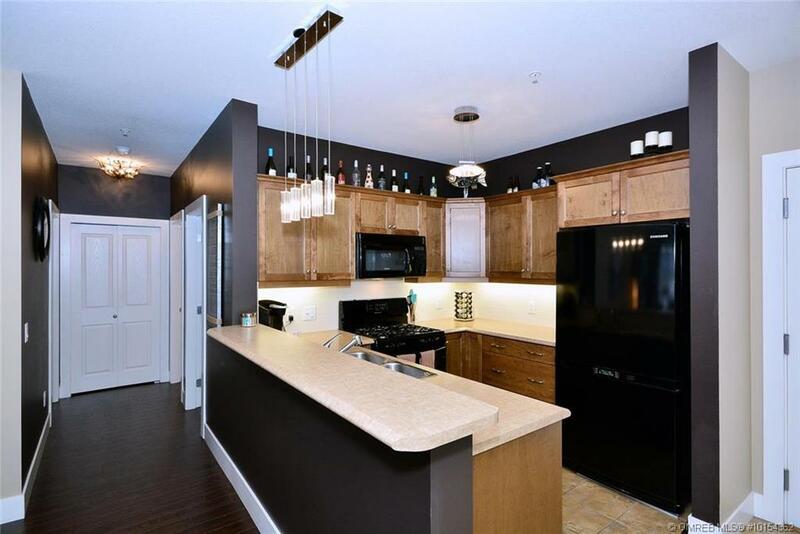 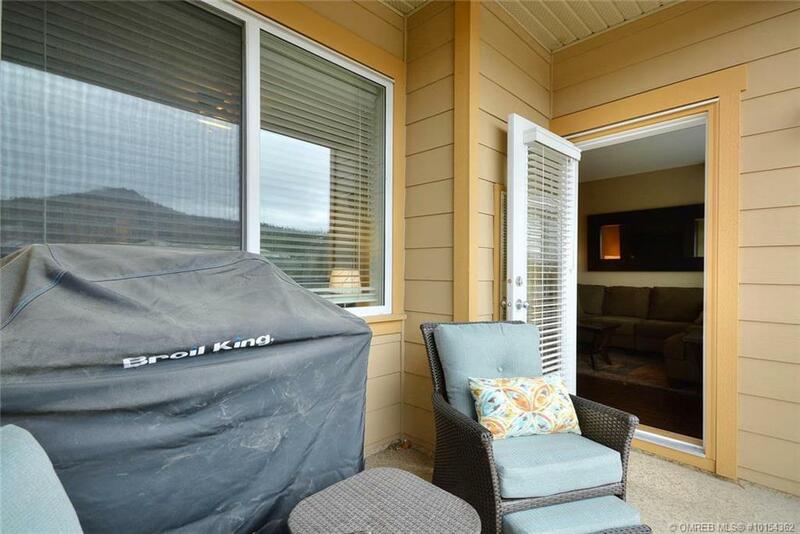 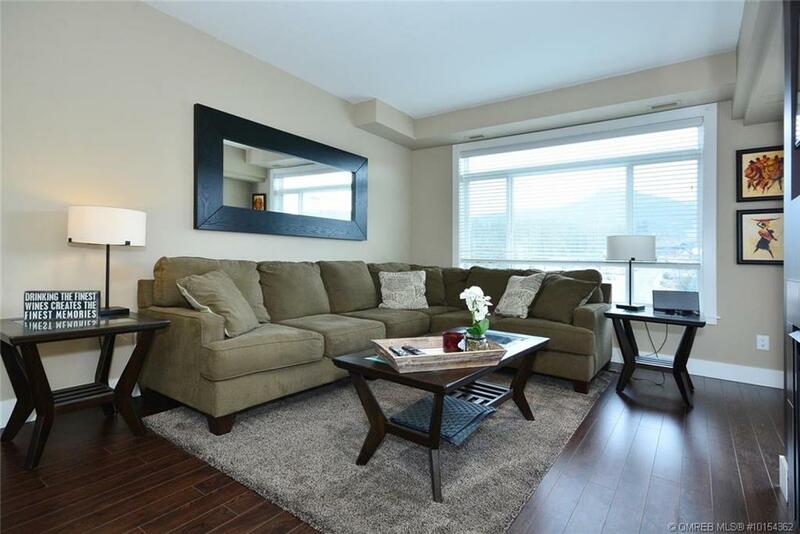 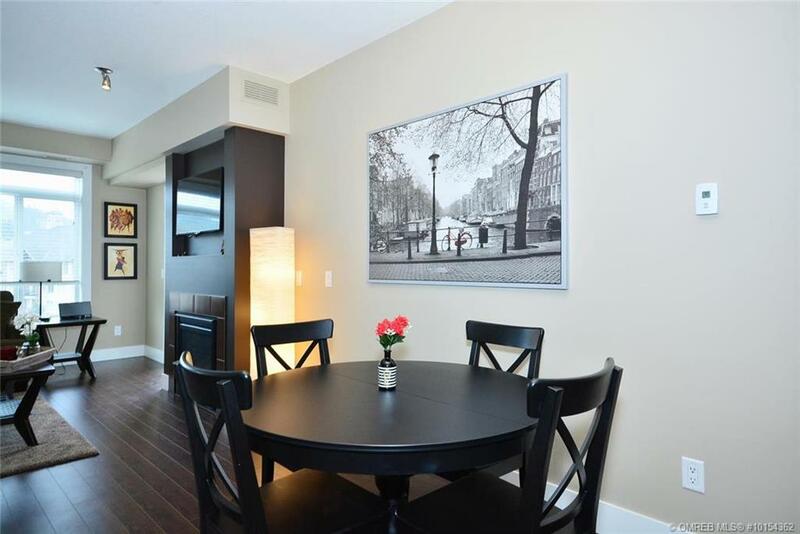 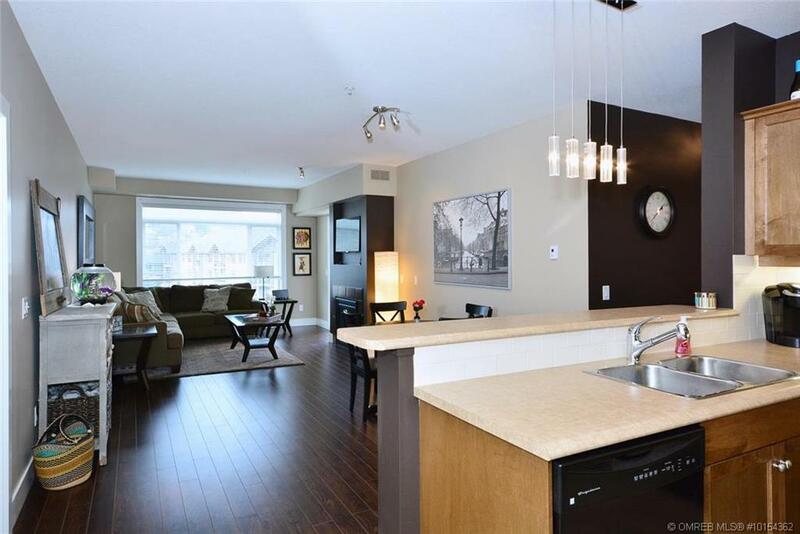 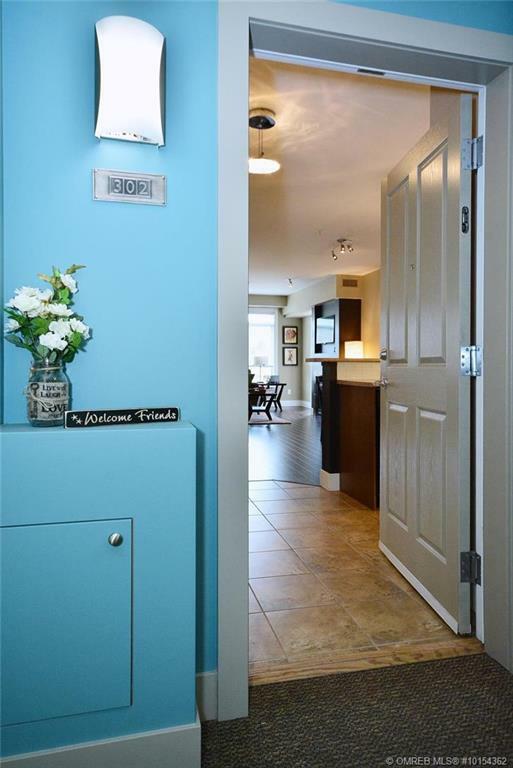 The new finishes and upgrades in this property elevates the feel of the condo as soon as you enter the door. 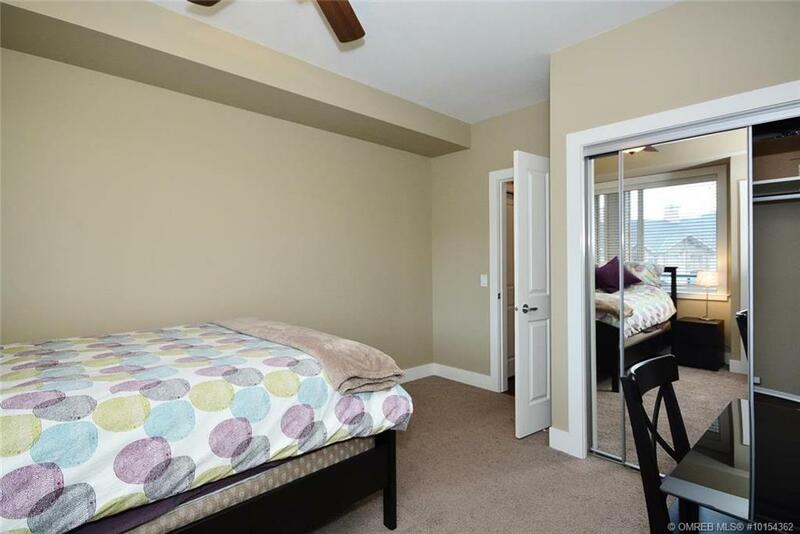 Hardwood floors run throughout the home and lots of natural light flows from the main living room windows. 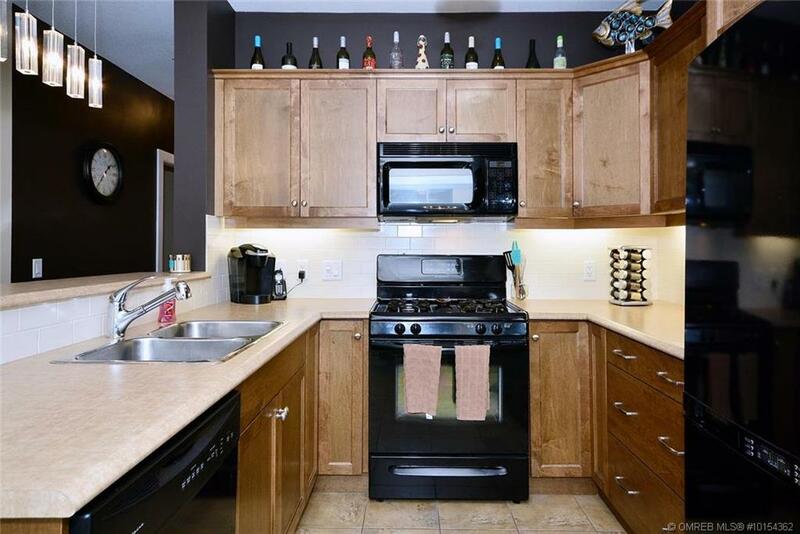 The kitchen has an eat up breakfast bar with room for a dining room table. 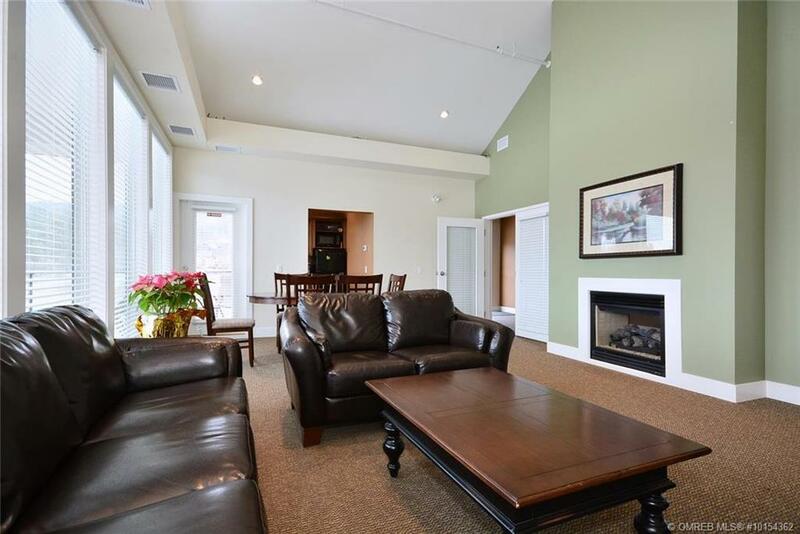 Moving into the living room there is a beautiful gas fireplace and access onto the large balcony to enjoy on those long warm summer evenings. 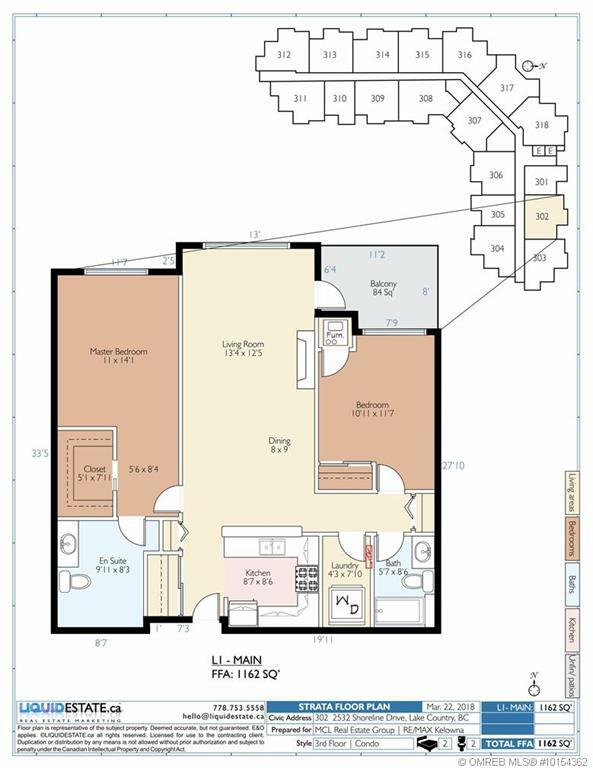 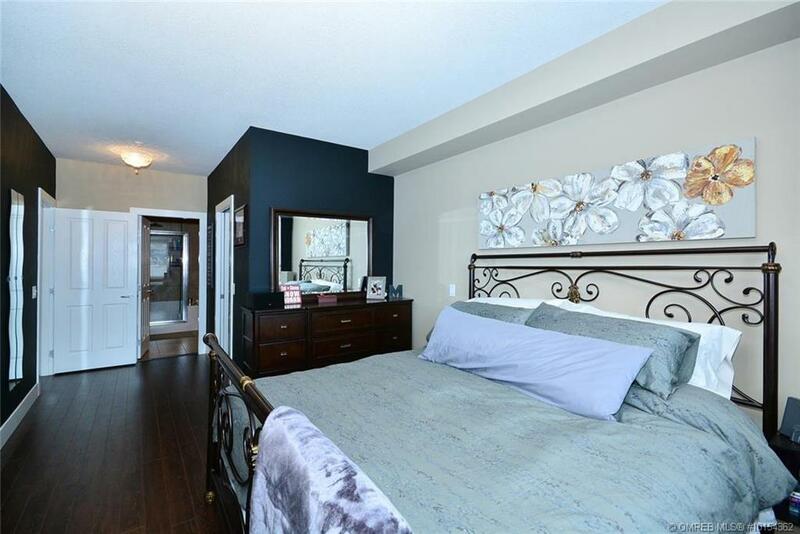 The master bedroom offers a walk in closet and a 3 piece ensuite with heated floors. 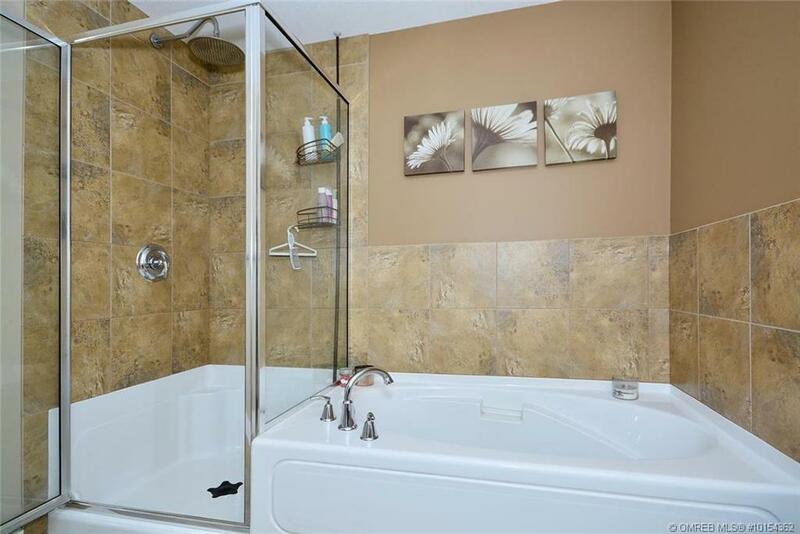 There is also a second bedroom and bathroom for guests. 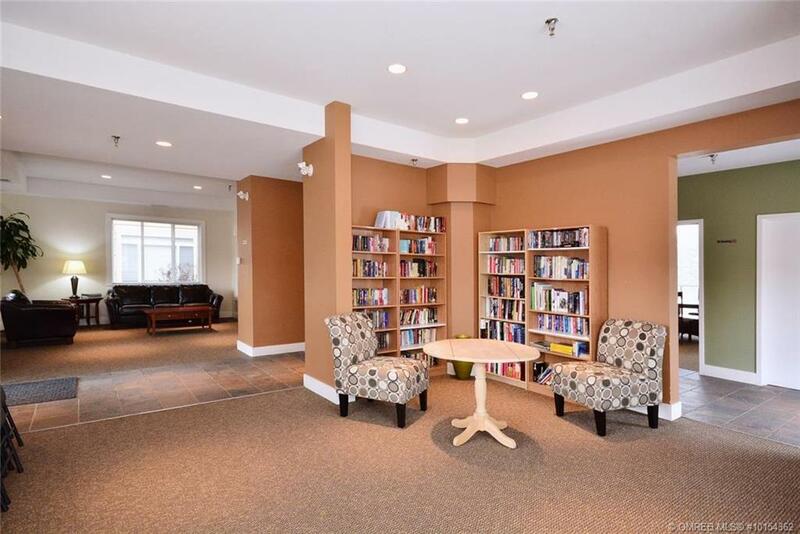 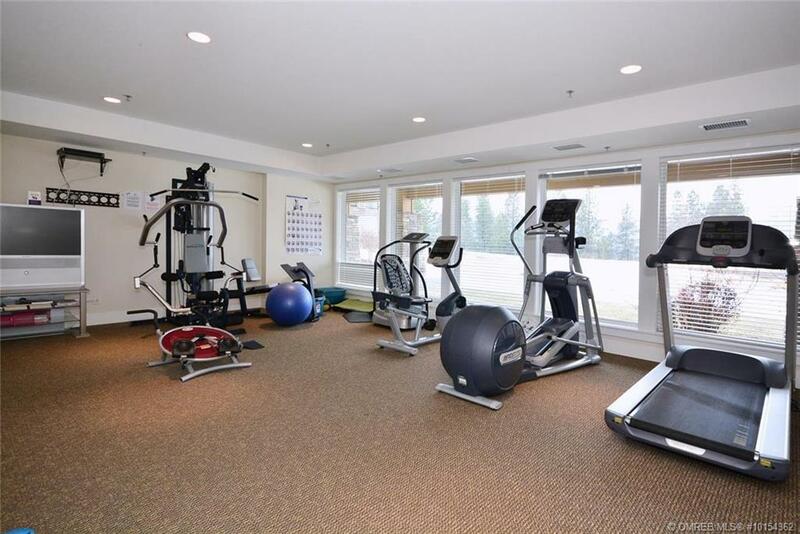 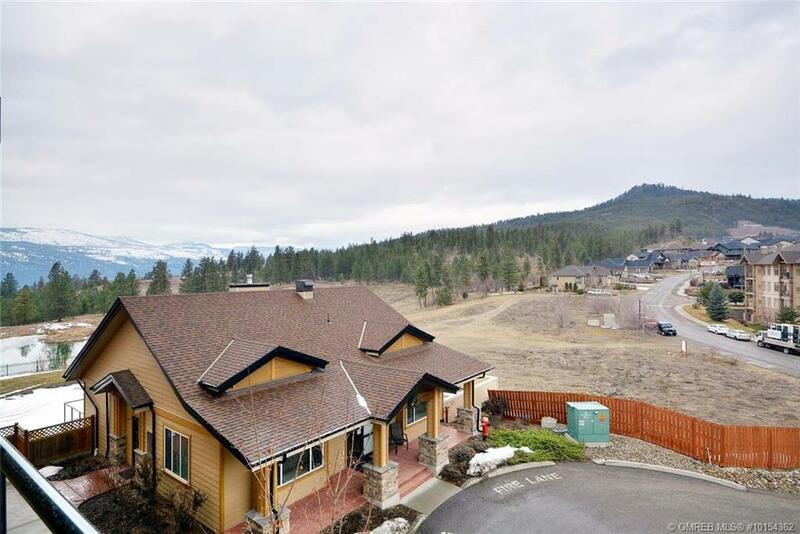 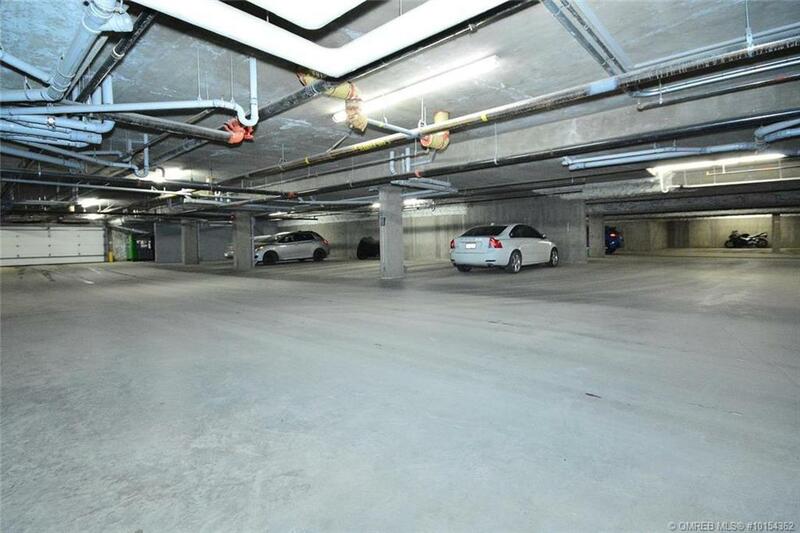 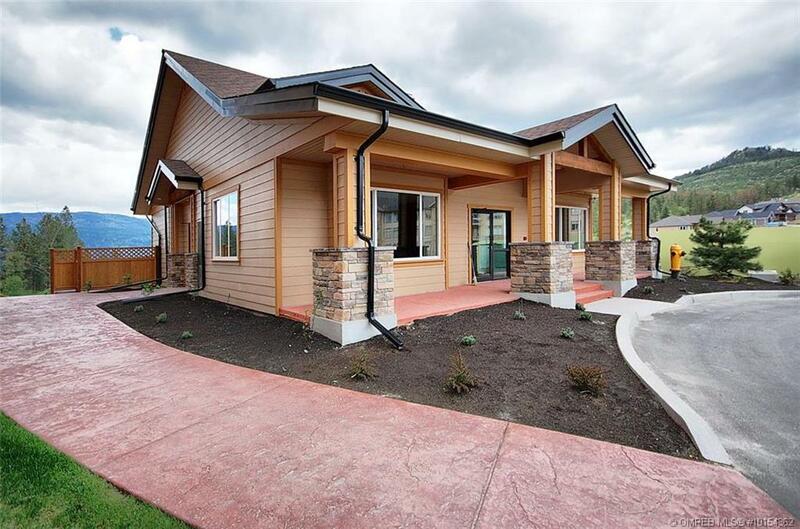 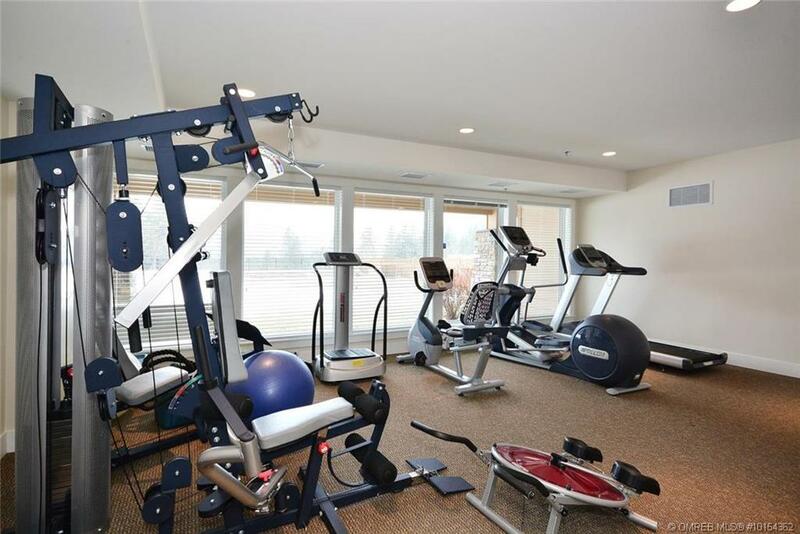 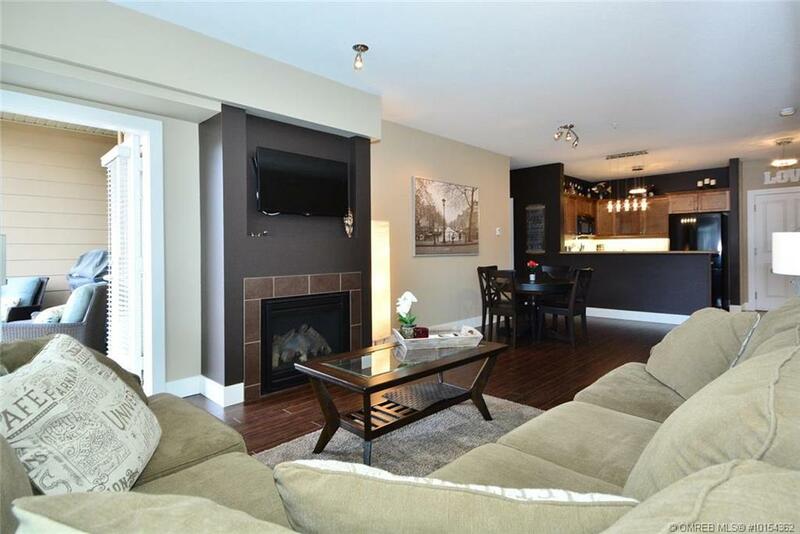 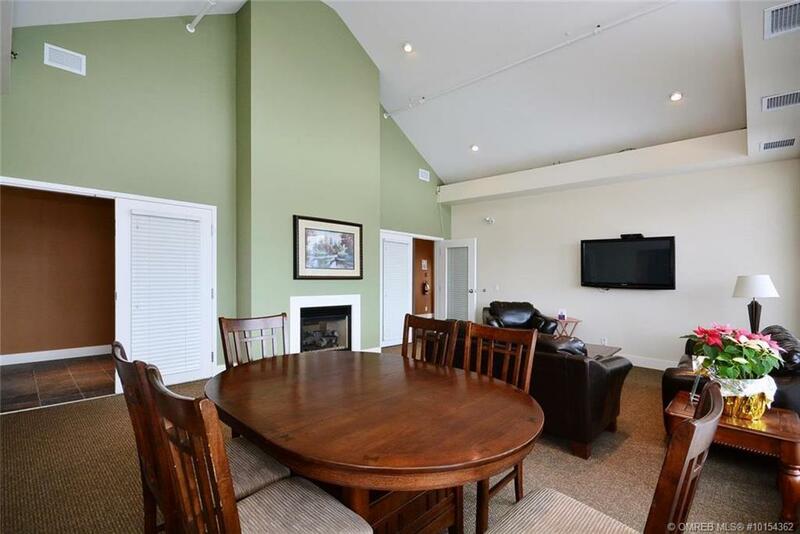 Included with this condo is a private club house and fitness centre. 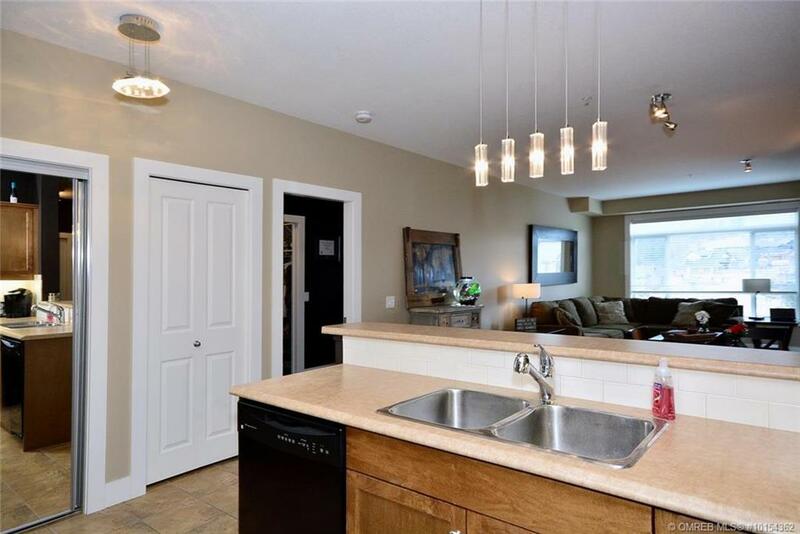 This condo won’t last long, it is perfect as an income property or if you are wanting to get into the market. 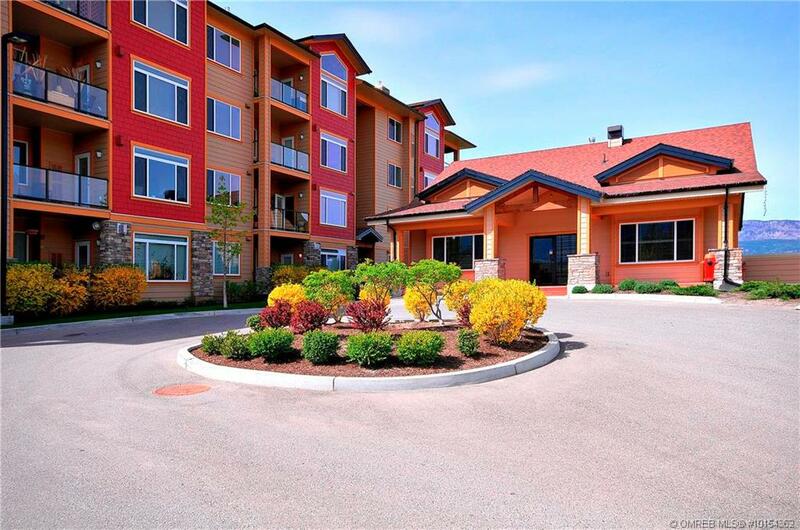 It is close to grocery stores, bus routes, parks, playgrounds, hiking trails, beaches and wineries.